﻿ TweakUI. Windows TweakUI. WinTools.net - software tools for MS Windows. TweakUI - a set of additional adjustments related to safety, system capacity and user preferences. 1. 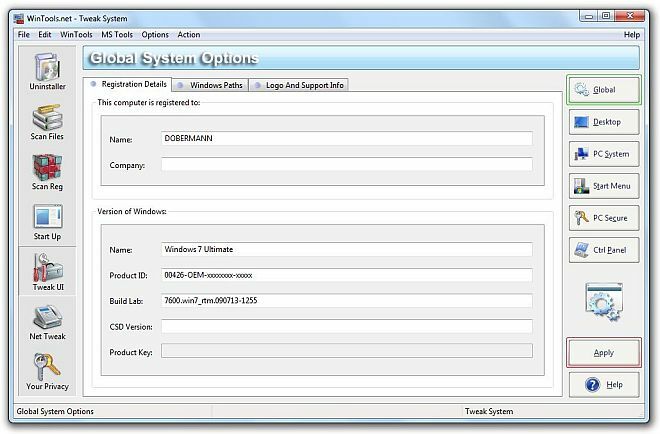 TweakUI: Global System Options - adjustments which allow for changing system files and registration information. 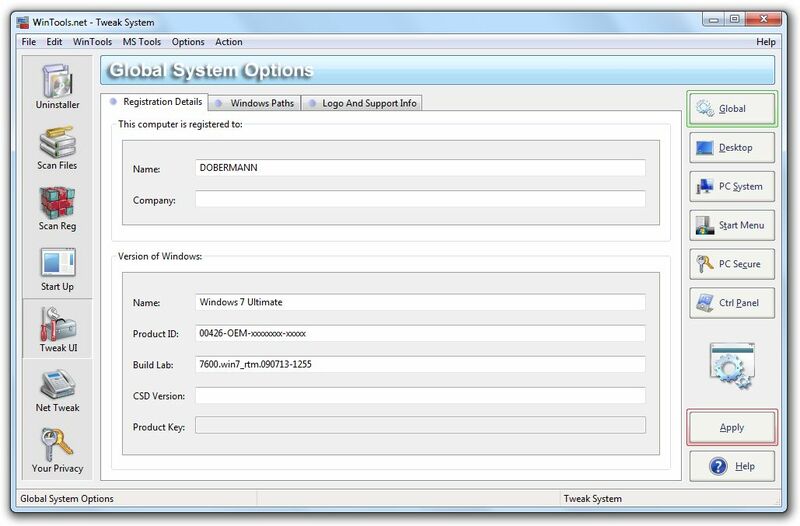 The tool contains three tool-tabs: Registration Details, Windows Paths, Logo and Support Info. 2. TweakUI: Windows Desktop Enhancements - a set of adjustments that can be made to the desktop. The tool contains five tool-tabs: Desktop Tweak, Miscellaneouses, Screen Savers, Commands, Templanes. 3. 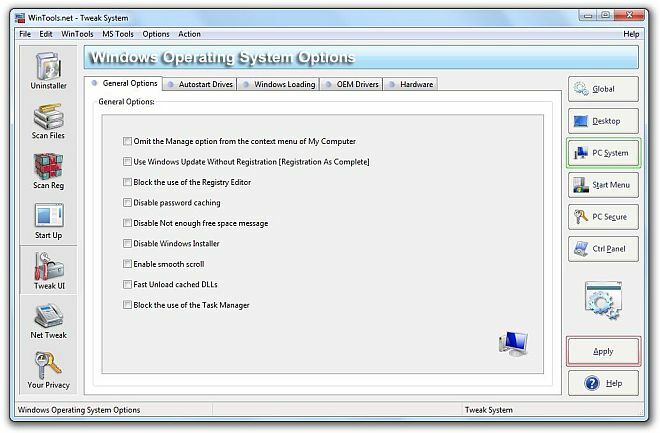 TweakUI: Windows Operating System Options - system settings, ways of the loading of a system and devices. 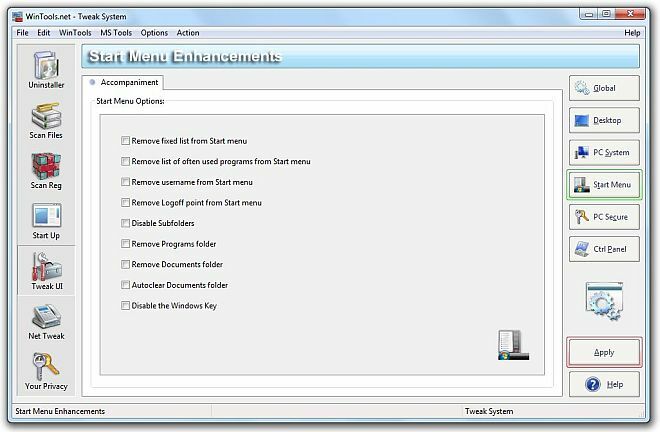 The tool contains five tool-tabs: General Options, Autostart Drives, Windows Loading, OEM Drivers, Hardware. 4. TweakUI: Start Menu Enhancements - a change of the interface of a Start menu. 5. TweakUI: Security Restrictions and System Policies - an adjustment of security of a system. 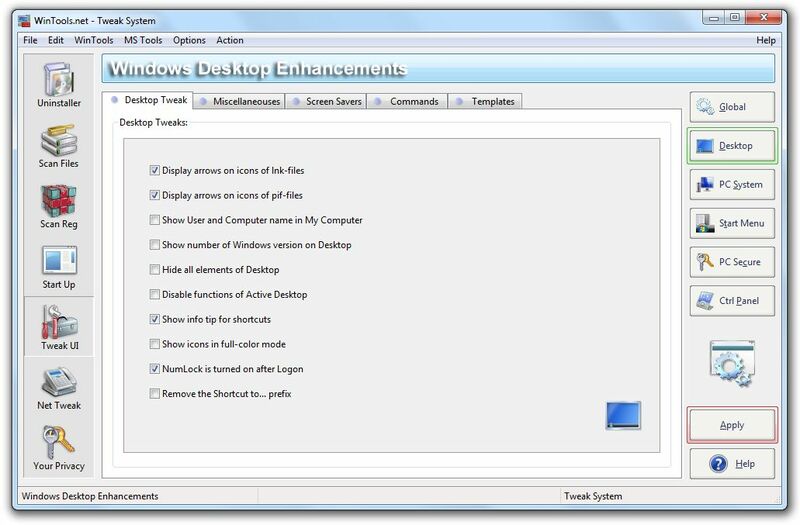 The tool contains five tool-tabs: Start Menu, Explorer, Network, Printers, Display. 6. 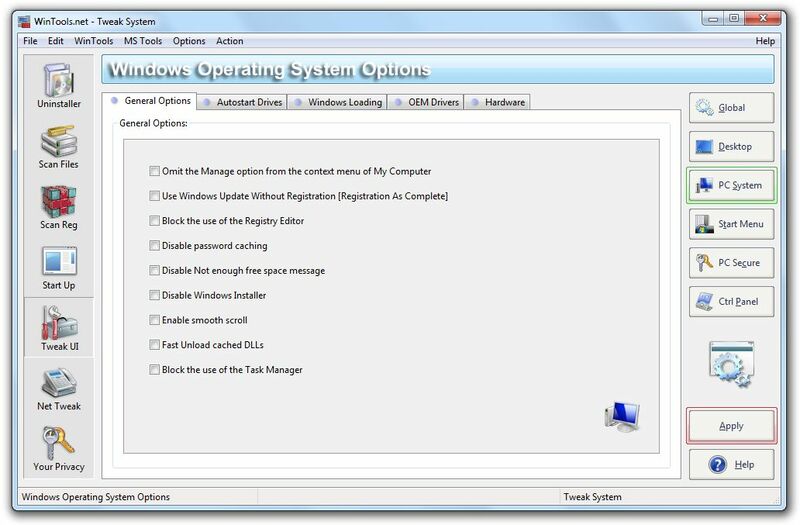 TweakUI: Control Panel Options - a manager of the bars used for the administration of a system.